Sometimes it really can be hard to control the small, impulse purchases. You know, the ones where you are just craving a burger, or a iced mocha or just one tiny, little candy bar. Maybe the temptation is not food for you. Perhaps you purchase the occasional movie through your cable service – just a couple of buttons on the remote for a great movie and just a small charge on your cable bill. What about that extra shade of lipstick or the scarf that matches only one outfit . . .but it looks great with your eyes? I do not struggle with the big purchases so much as I do the three dollar and five dollar kind. It’s funny because I meticulously monitor our thermostat to make sure that we don’t spend a dime extra on heat or cooling. I make sure that the only lights on in our home are the ones in use. I make sure that the car does not idle too much and always check to see that my wife is using coupons when she goes to the grocery store. Yet I can blow all of these frugal strategies with one or two trips through the fast food drive through lane. If you spend a dollar on something you don’t need, you lose that dollar forever. It was worth a hundred pennies today and zero pennies tomorrow. If you charge a dollar for something you don’t need, you lose that dollar forever and you might lose more than that if you don’t pay off your credit card balance every month. 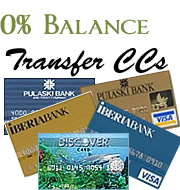 Most credit cards are charge astronomical interest. If you pay the minimum payment every month, you might never pay off that dollar – especially if you charge more dollars. If you save a dollar and use it to pay a dollar a month extra on a car loan or student loan, you could save a hundred dollars or more over the life of the loan. If you don’t have any debt, invest that dollar and if it earns five percent annually, you could have almost five dollars in thirty years. Okay, five greenbacks over thirty years does not seem like much and really these examples are all a little ridiculous if we are only talking about one dollar. But how many of us only waste a measly buck over the course of a month? What if instead of $1, we were throwing away $10? Are there some among us who might be able to find $100 worth of waste in our monthly budgets? The point is that most of us in this culture, have a spending problem, not an income problem. Over the next few months, I hope to solve more of my spending problems and along the way, give you a few ideas on how to hang on to more of your dollars. New post! 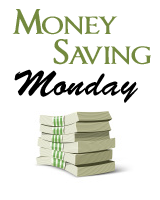 I use a checking account that takes a dollar and moves it to savings with every purchase made . . . I take my “little” purchases and turned them into a savings vehicle. thanks stew for this article! Great post. I’ve been thinking about the little costs here and there too. I really think this eats up more of our budget than we think it does. This is where the envelope system helps out a lot! When it’s gone, it’s gone! Great post Stew! I used to see how long I could keep a $20 in my wallet. Once I controlled my “little purchases” I felt confident enough to control the big ones. Great post! If you can’t manage $10 how can you manage $10,000 – or in this case if you can’t manage $1 how can you manage $1,000 – it is all about your behaviours with money! Great post! I have just recently started reading personal finance blogs and made a budget for my husband and I. It is difficult for us to talk about savings because we live on very little income while I am still in school. The statement “The point is that most of us in this culture, have a spending problem, not an income problem.” gives me hope! This is my downfall as well. I am in sales, and spend quite a bit of time on the road, and eating on the fly. I started calculating just how much I was spending on lunch and snacks, sodas and the like and just about had a heart attack! It takes a conscious effort to not spend on the “little things”. Good post that motivates us to think about our “little” purchases. My best plan for detering these purchases is using the envelope system, but I have found another idea that helps: If I have a larger bill ($50 for example), I try to wait as long as I can before breaking it. Why? Because is seems to disappear much faster once it is broken. Nice post! You really put he value of a dollar into perspective for people. Thank you and take care!